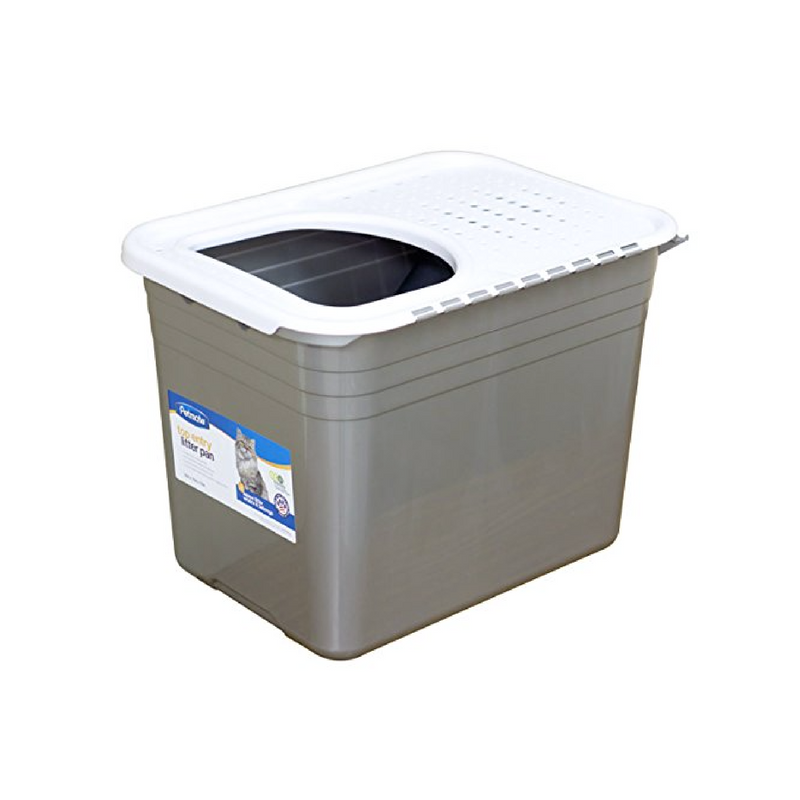 The Petmate Top Entry Litter Pan looks like your average Rubbermaid storage bin, but before you decide to make your own, check out all the features this product offers. 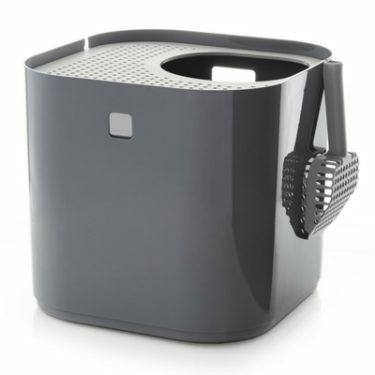 The base of the box is dark grey and has a white perforated lid. The hinged lid can be flipped open or it can be removed entirely. The holes in the lid are designed to allow litter to fall back into the box. The opening on the top is approximately 9” across. 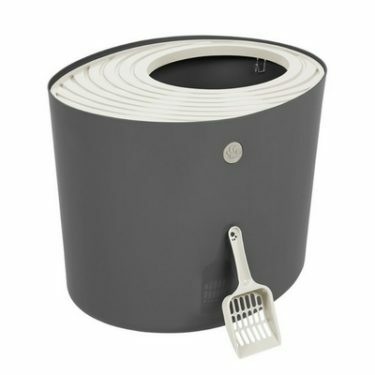 The overall dimensions of this litter box are 20”L x 15”W x 15”H and it has a built-in hook to hang your litter scoop. 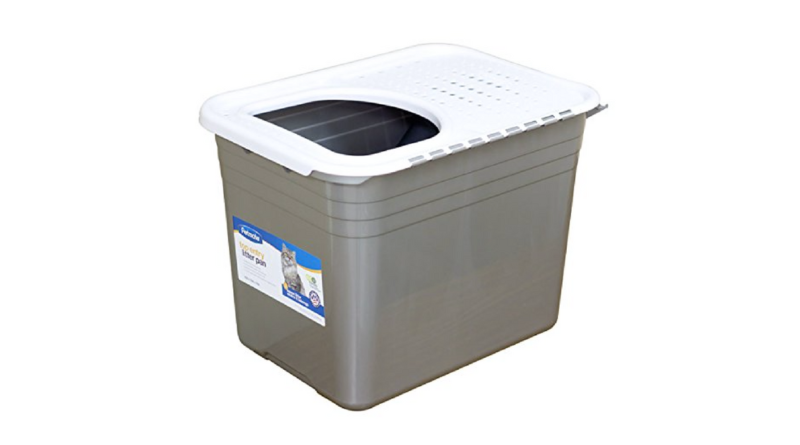 Petmate sells litter pan liners for this litter box that cost about $1 each. 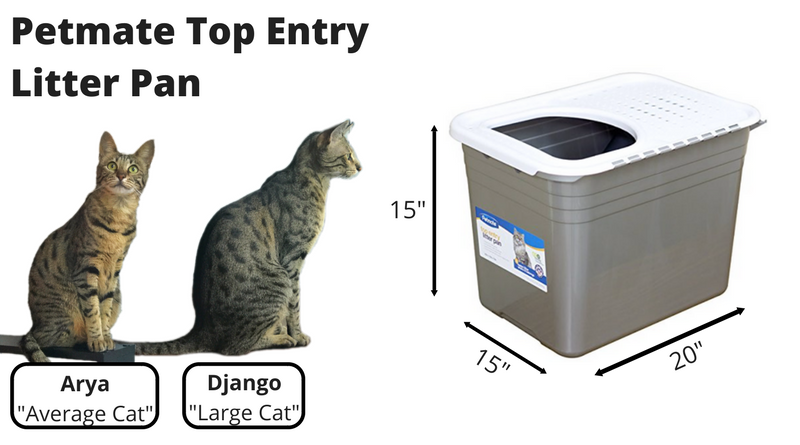 Top-entry litter boxes like the Petmate Top Entry Litter Pan are great for keeping litter inside, but they also make it more difficult for your cat to gain access. If you have an elderly or disabled cat, this type of litter box may not be the best choice. 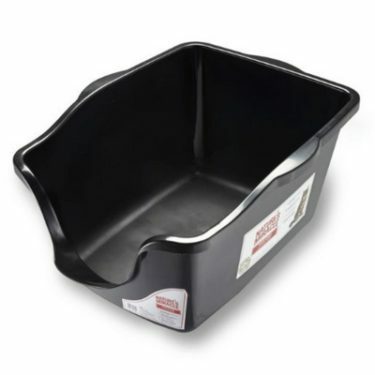 As far as the size goes, the Petmate Top Entry Litter Pan is one of the largest of this design. The 9” opening at the top should be sufficient for even large cats. Some cats prefer litter boxes that provide a good deal of privacy. And this litter box is great for that. 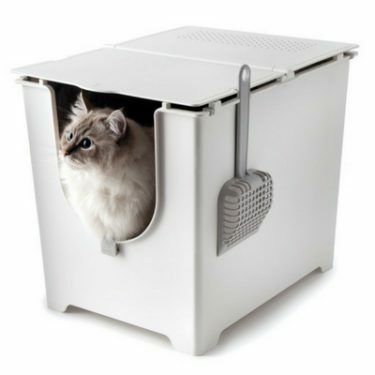 The hinged top on the litter box was designed to make cleaning less of a hassle. This feature works for some, but others have found that the lid tends to fall off anyways when flipping it open. The perforated holes on the top do a good job of catching litter if your cat uses the box as intended. 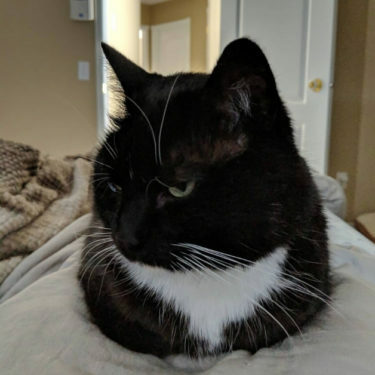 Some owners have found that their cats jump out of the box onto the sides, which defeats the purpose of the top of this box. 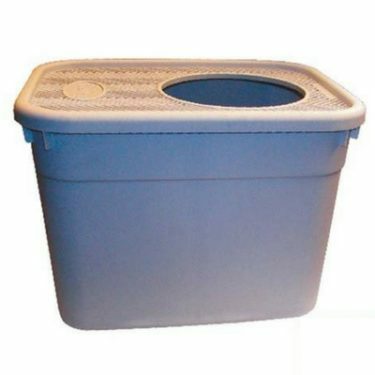 One recommendation is to place this litter box in a corner so your cat will be more inclined to jump onto the lid first. The built-in hook for hanging a litter scoop is a nice feature. The Petmate litter pan liners are not very durable and could end up making cleaning even more of a nuisance when they tear. 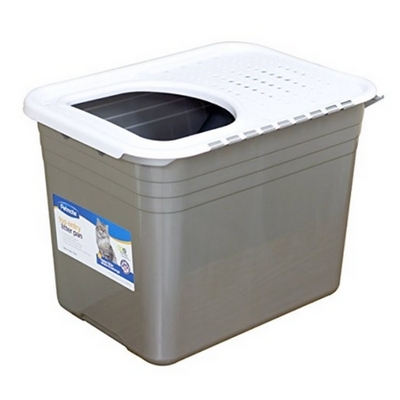 A lot of owners say this litter box is just as easy to clean without the liners. 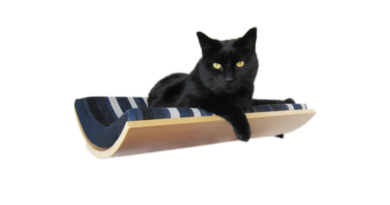 Petmate has responded to all of the customer complaints with the grooved base by redesigning the base to be flat! This was by far the biggest issue owner’s had with the old design of this litter box. The flat bottom is much easier to clean. This design change went into effect in early 2017. 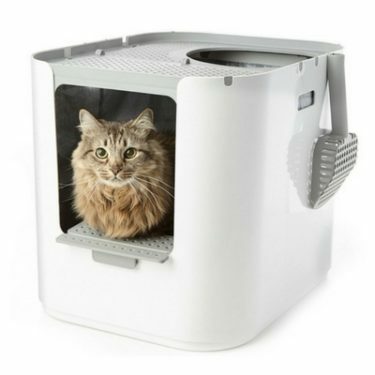 One of the main reasons owners will opt for a top-entry litter box like this one is to prevent dogs from getting inside. 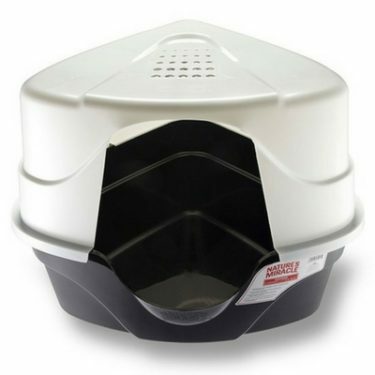 The Petmate Top Entry Litter Pan is great at keeping dogs out and providing cats with plenty of privacy. The enclosed design also minimizes odors. The Petmate Top Entry Litter Pan is made of decent-quality, durable plastic that should last for several years. We wish the hinged top was designed a little better, but overall the quality is very good for the price. 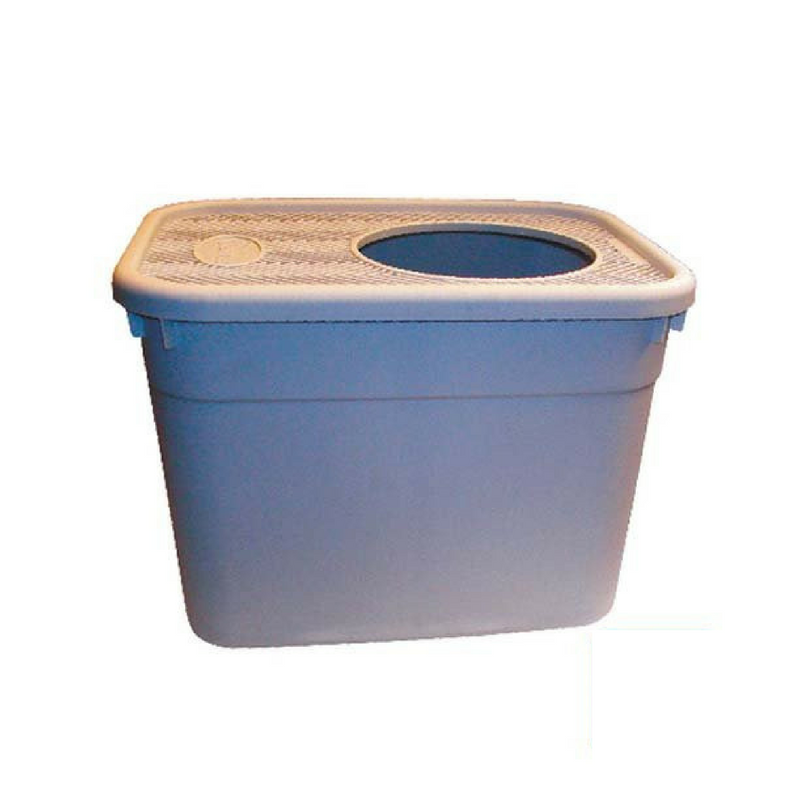 The Petmate Top Entry Litter Pan is an affordable top-entry litter box that is a bit more spacious than most. The design is simple, yet practical. 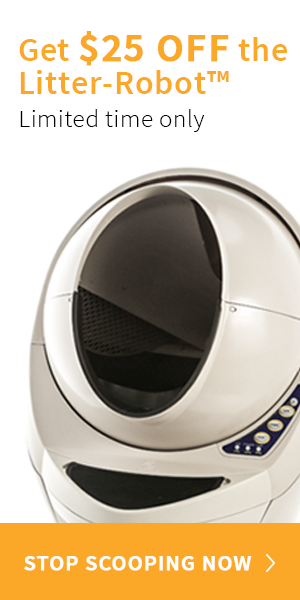 It might not be as flashy as the Modkat Litter Box, but at a fraction of the price it’s definitely worth considering. We do not recommend the Petmate Top Entry Litter Pan for elderly cats, obese cats, or cats that have difficulty jumping. 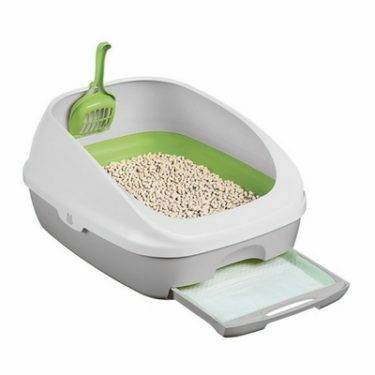 The top-entry design of this litter box would likely prove to be a problem for these cats. 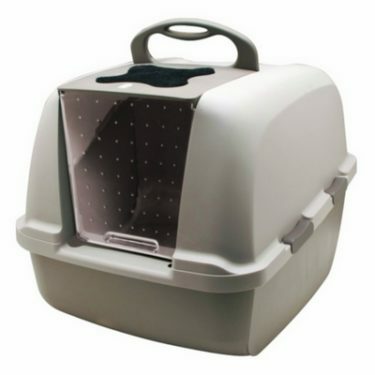 The closest competitor to the Petmate Top Entry Litter Pan is probably the Clevercat Top Entry Litter Box. Both litter boxes are the same size and have very similar design, but there are a few differences. 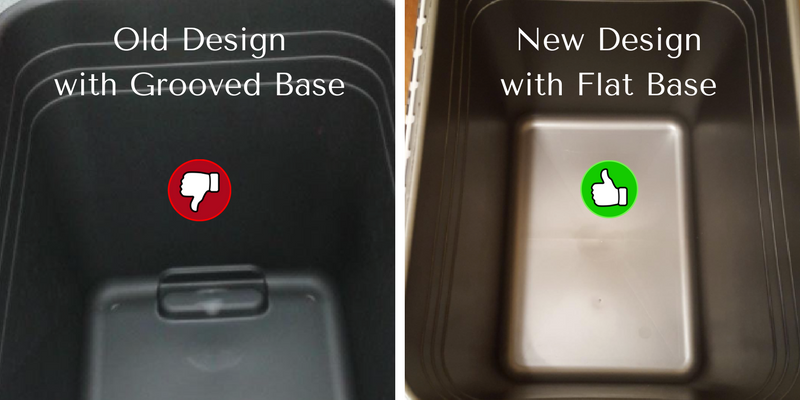 With Petmate’s latest design update we think the Petmate Top Entry Litter Pan has a slight edge over the Clevercat Top Entry Litter Box. 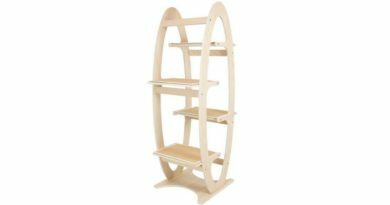 Where can I get the latest model so that I am getting the one without bottom groove? 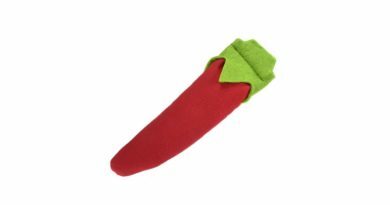 Most sites such as amazon doesnt show the inside, so I want to make sure its correct product. Hi Julie, your safest bet would probably be purchasing direct from petmate.com. Amazon uses multiple sellers, so you can’t always guarantee they’ll have the newest stock. However, just about all of the recent reviews on amazon indicate that the version they received is the new one without the grooves on the bottom. So for $10 cheaper, I’d go with Amazon and just return it if I get an old one.